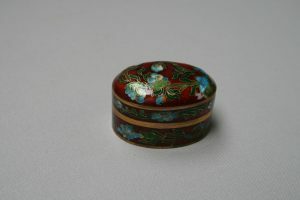 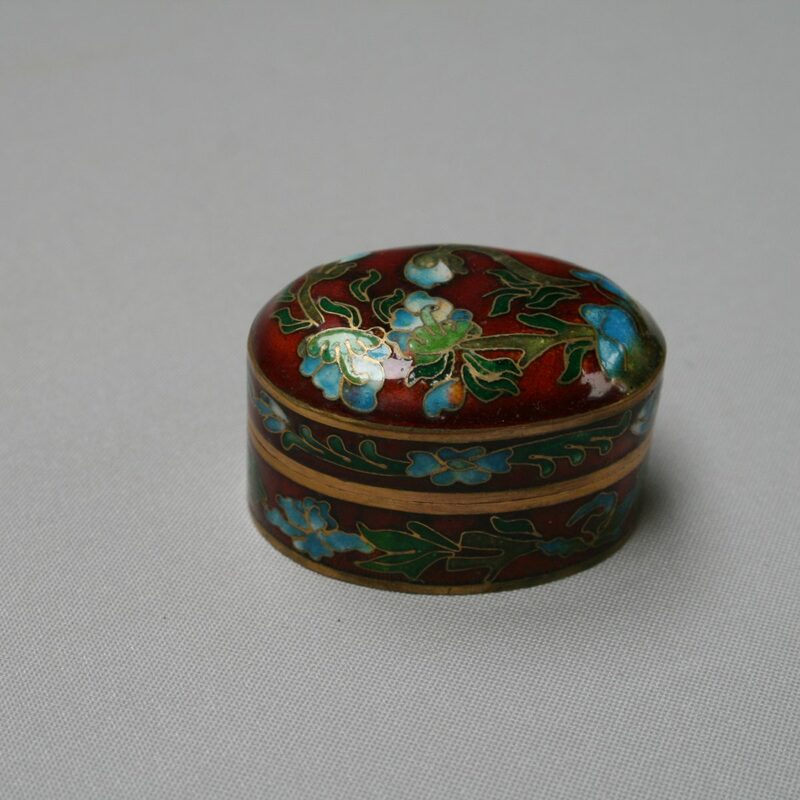 An oval cloisonné trinket box. 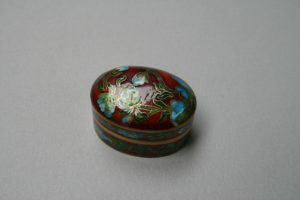 It has a dark red background with pale blue flowers on the lid and sides. The hinged lid reveals a dark blue interior.